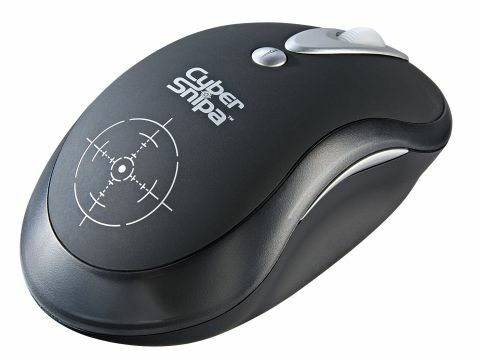 Yes, it's a daft name, and clearly aimed at the 1337 gamrz, but the Cyber Sniper SWAT is actually a superb mouse, provided you're of the right-handed persuasion. Crisp and smooth cursor response is always a winner, and the SWAT has it in spades. And unlike many laser mice, the tracking rate isn't stupidly fast - you can switch between 800 and 1600dpi, which I found absolutely ample. It's also comfy, which is nice, and the side-buttons are well placed, so it's easy to avoid clicking them by accident.